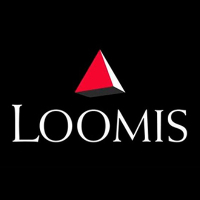 Loomis has announced the agreement to acquire 100 percent of Ziemann Sicherheit Holding, a German domestic cash handling service for €160 million. In addition, Ziemann also carries out security services as well as trading activities within the wholesale and retail market for currencies and precious metals. Ziemann has approximately 2,700 employees and an annual net revenue in 2018 of approximately €175 million. More than 90 percent of Ziemann’s net revenue currently relates to cash handling services. Consequently, with this latest acquisition, Loomis will be able to service the entire country having previously entered the marketplace with its January 2018 acquisition of cash-in-transit firm KÖTTER. As the largest carrier in Europe Loomis already services countries such as the UK, France, Spain and Belgium. Ziemann, with its national coverage, looks to be a key part of Loomis’ continued expansion plan into European markets. “The German cash market is large and cash in circulation is growing. We also see that outsourcing of cash management services from the bank system to cash specialists, like Loomis and Ziemann, has been accelerating in recent years. Ziemann is a large and operationally very solid cash handling business with a competent and innovative leadership team. These factors combined with Loomis know-how in cash handling, cash recycling and value-added solutions make us believe that time is right to invest further in Germany and lead the transformation of the German cash ecosystem. “Ziemann, with its national coverage, will be a great platform to deliver SafePoint and other solutions for banks and retail customers. We look forward to increasing our presence in Germany and are glad to welcome all new employees and customers to the Loomis group” says Patrik Andersson, President, and CEO of Loomis. It is also understood that Loomis AB has signed a €150 million 5-year multi-currency revolving credit facility: the facility matures in January 2024, and can be used for general corporate purposes. The lead arrangers are Danske Bank A/S, Nordea Bank Abp and Crédit Lyonnais. This facility will replace a previous $100 million facility.